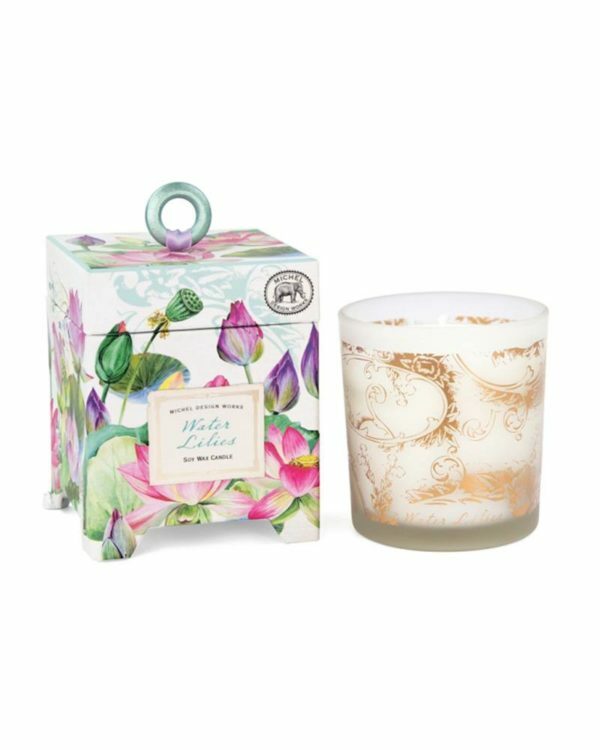 A high-quality scented candle with an intense floral Water Lilies Scent – a unique potpourri with bergamot and lily of the valley as the main focus. Tulips and sandal wood notes round off this facetious composition. This romantic scent brings the opulent spring blossom to the room. 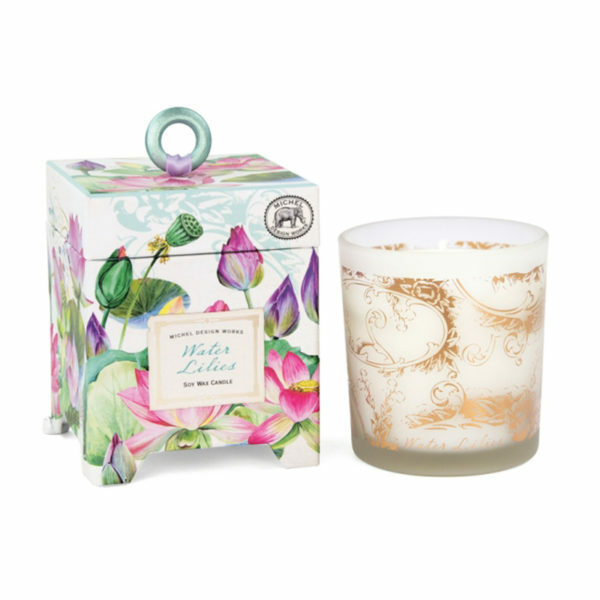 The design of the exclusive scented candle includes golden flower tendrils on a glazed candle glass. The hand-poured scented candles made of 100% soy wax and placed in filigree glass exude subtle sensual scents. Due to its clean-burning quality wick, the natural and biodegradable candles guarantee a long burning time of over 45 hours. 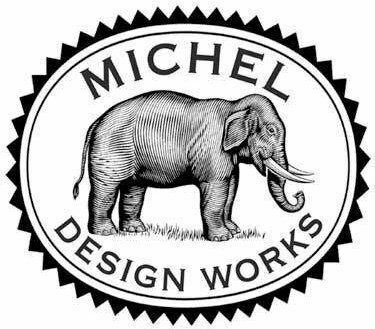 Packaged in a decorative gift box with a wooden ring, which adds a qualitative uniqueness to each product with its creative botanic designs.